Can I Save a Sluggish and Error-Prone SD Card? If your SD card is slow to mount when you plug it into your computer, throwing up errors, or otherwise misbehaving, you can often whip it back into shape with a little careful management. Let’s take a look at how we can help a fellow reader squeeze a little life out of their SD card. I have an old SD card that’s, in a word, misbehaving. When I remove the card from the camera and plug it into the SD card reader on my computer it takes ages to mount. It should mount nearly instantly like all my other removable media but it can take anywhere from one to ten minutes to get detected by Windows and become accessible. Further, I’ve noticed a few JPG images with corruption over the last month or so. No outright failures to write but a few of them have the kind of corruption where the very lower portion of the image looks like old TV scan lines. Is there anything I can do to revive the card or is it at the end of the road? I’ve been using it for years and have probably snapped 20,000+ pictures with it, if that helps any in your assessment. First things first, the price of SD cards has fallen so much over the years that if you’re using this SD card for anything you’d consider remotely critical then there is very little reason not to simply replace it. The premium SD cards we use in an old DSLR of ours, for example, were originally around $50 for a 4GB card but are now less than $10 for a card of equal or better speed. If you haven’t gone SD card shopping in a while, prepare to be shocked: the current best selling SD card on Amazon is an 8GB SanDisk card for a mere $5.95. If you find you need to replace the card you won’t break the bank. That said there are a few things you can do to refresh an old SD card and extend its life. Let’s look at two techniques and highlight when to use them and what they accomplish. Note: Although it sounds like the culprit in your case is the SD card, don’t forget to test the card with SD card readers beside the one you regularly use. Some years ago we thought we had a string of bad luck with faulty SD cards but it turns out that our bay-mounted card reader was failing. Most of us are guilty of not properly removing our SD cards and other removable media. When you improperly remove a storage device a “dirty bit” is set to indicate to the operating system (on future mounting) that the device was not properly removed which, in turn, causes the operating system to spend more time analyzing the media when it is plugged back in. Further, not practicing safe ejection can lead to corruption and poor performance. One way you can remedy any problems you may have introduced by unintentionally poor SD card handling practices is to run CHKDSK on the card. Next time you plug it in if Windows prompts you to scan and fix your SD card go ahead and let it take care of things. If it doesn’t prompt you and you’d like to run CHKDSK from the command line, open up the command prompt and type “chkdsk /f /r X” wherein X is the drive letter of your SD card. 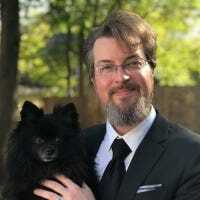 While CHKDSK will typically fix many problems that crop up with a heavily used SD card (especially one that has been improperly ejected) it’s not our favorite or end-all tool for SD card revitalizing. If you need to recover files from the SD card before taking more drastic measures, CHKDSK should be for your first stop. If you’re ready to wipe it clean and tune it up though, it’s time to move onto a more thorough tool. Although a quick scan with CHKDSK will solve many issues (and it will certainly get Windows off your back with that whole scan-and-fix warning) the best way to start with a clean slate is to format your SD card. Not just any format, mind you, but a proper format. Although Windows and other operating systems include basic formatting tools that work just fine for hard drives and most removable media, SD cards can be a bit finnicky as they include additional features not found on basic storage volumes like USB flash drives. If you format an SD card with the basic format tools your SD card won’t be rendered inoperable but it will function less efficiently. 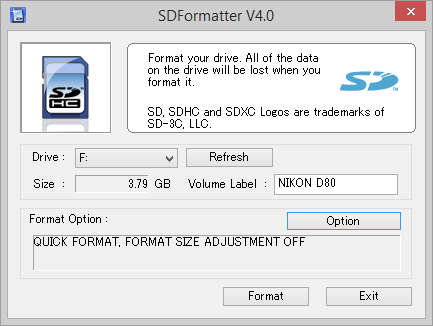 In order to achieve an optimum format that strictly adheres to the standards of the SD/SDHC/SDXC card conventions, we can turn to the handy SDFormatter tool provided free of charge from the SD Association (the organization that oversees global SD card standards). You can grab a copy for Windows or OSX here. After a sweep with SDFormatter your SD card should be good as new. If you’re still having delayed mounting on your PC (and you’ve ruled out a bad SD card reader) or you continue to have corruption issues with files on the SD card, it’s probable that the card is simply at the end of its life and its time to replace it.